Peruvian Chifa cuisine (a Chinese-Cantonese-Peruvian fusion), has been taking the gastronomic scene by storm in recent years. Chifa, no doubt, has become one of the most popular types of food in Peru and a trip to the country isn't complete without a proper Chifa meal paired with a chilled Inca Kola. No trip to Peru is complete without a fresh plate of ceviche, that’s exactly why many travelers are opting in for an extra day in Lima, just to learn how to make this national dish. Learning how to make Peruvian ceviche is not as difficult as it may seem, the trick is using the freshest ingredients available. Nestled away in the heart of Miraflores, the most picturesque district in Peru’s capital city Lima, are the ruins of Huaca Pucllana. Steeped in history and culture, the ruins are one of the highlights of this diverse and fascinating city and can be easily explored in a couple of hours. We are going to take a look at some of the best restaurants in Cusco – a city that receives huge numbers of tourists every year. Here, you will find dozens of places serving authentic Peruvian fare as well as a whole host of international and fusion restaurants. Suri, a type of worm that’s a highly popular, speciality in Peru, long upheld by native populations for its delicious and nutritious properties. If you fancy sampling succulent suri during your time in the Amazon, here’s everything you need to know about this intriguing local delicacy. It’s been named South America’s Best Culinary Destination and the World’s Best Culinary Destination for several years in a row now: Lima, Peru is a feast for the palate of any traveler. 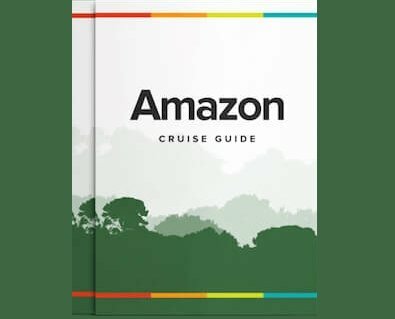 What Do People Eat in the Amazon? For many, an unexpected highlight of an Amazon river cruise is the chance to sample many of the region’s best dishes, some traditional and some with a more modern twist, but all drawing heavily on local ingredients and the unique flavors of the surrounding rainforest. Cooked over the course of several hours, the Andean dish of pachamanca involves a mixture of heavily spiced meat and vegetables buried amidst hot stones. Read on to learn more about the pachamanca technique, and its role in Peruvian culture. Voted the World’s Best Culinary Destination for the past four years in a row, it’s no surprise that many tourists are now arriving with the names of typical dishes on their lists of things to do in Peru.